After work today I drove down to South Haven as it was supposed to be the nearest area with the biggest waves forecasted. Marine forecast was calling for 20 footers there. Michigan City marine forecast was calling for 30 footers, but it was too far to drive. The first half of the pictures are from the south bluff and the second half are from the north beach. 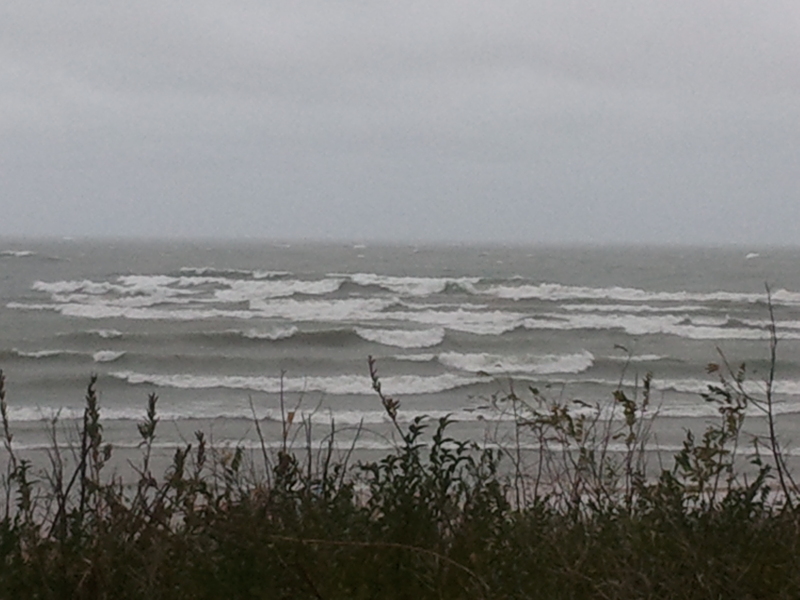 Wind was gusting close to 50 knots while I was there. I couldn’t even look to the north into the wind and rain, it was stinging rain and sand in your eyes if you did. Also, these are from my cell phone, but you can get an idea of the size and nastiness at least. No one out kiteboarding or surfing. Lots of people taking pictures and video. Next Post Early Thanksgiving Treat?